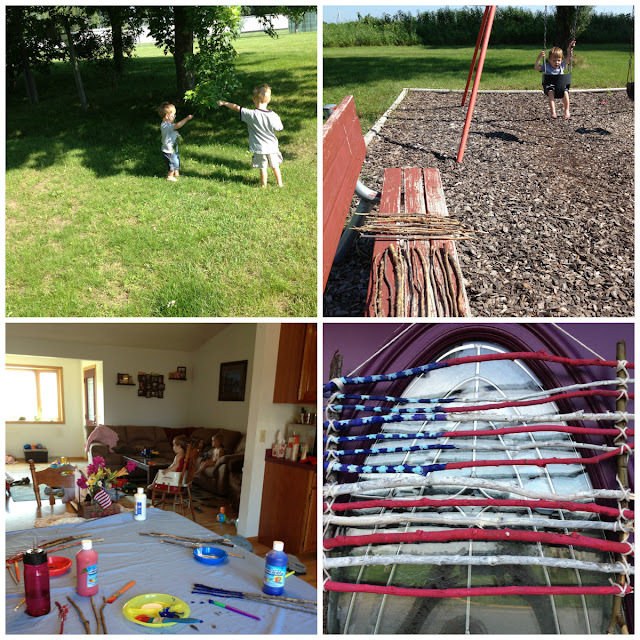 To commemorate our nation's birthday this week we did a project of the American flag. First, we had to hunt down sticks, which the boys enjoyed until we found ourselves by a park. Naturally, you can't pass a park without first testing out the equipment. They were interested in painting the sticks...for about five seconds, and then my painting crew abandoned me and suddenly our group project turned into a solo one. To celebrate this patriotic holiday, we rounded up the troops Wednesday afternoon (quite literally since I did the daycare pick-up for my friends, which pleased my husband as he got tasked with installing more car seats in my van), set up some tents, BBQ'd, skewered marshmallows and sandwiched their gooey yumminess between layers of cracker and chocolate, lit off some fireworks, and sat mesmerized around a bonfire. 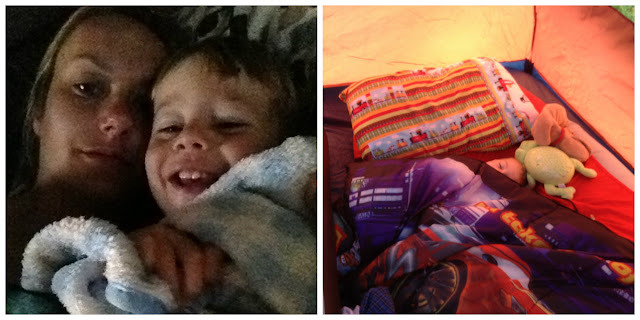 This camping trip, unlike our previous attempt, went much better. The kids slept. The weather was perfect. The adults got some adult time with adult beverages and adult conversation. Then the next morning we packed it all back up and lugged our filthy kids back home. Our bathroom for the night. Once the sun went down, we partnered up. Creeeeepy. 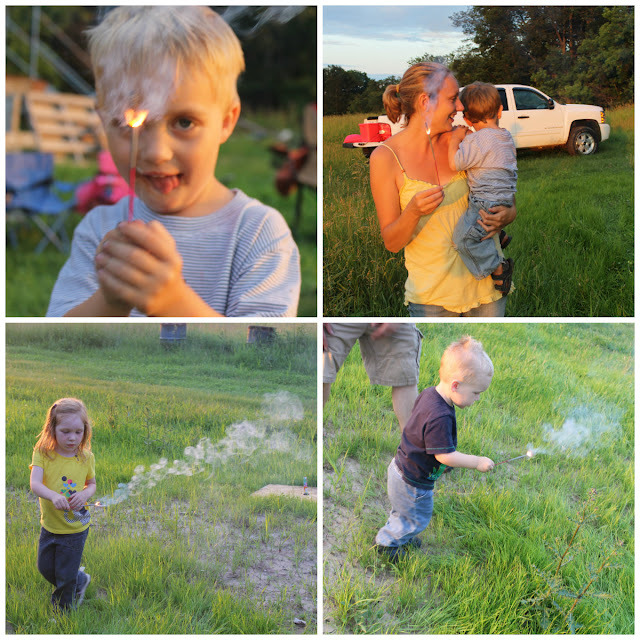 Ashton was not a fan of sparklers, but the other kids loved them. Who needs a professional quality fireworks display when we have our very own fancy pants one? Beautiful sunset at the lodge. The one on the left likes to wake up super early. The one on the right could have slept all day. Spenc enjoys fireworks, except for the noise factor--hence plugging his ears--but Ash cowered on my lap, scared, trying to blow them out. Happy 4th of July! 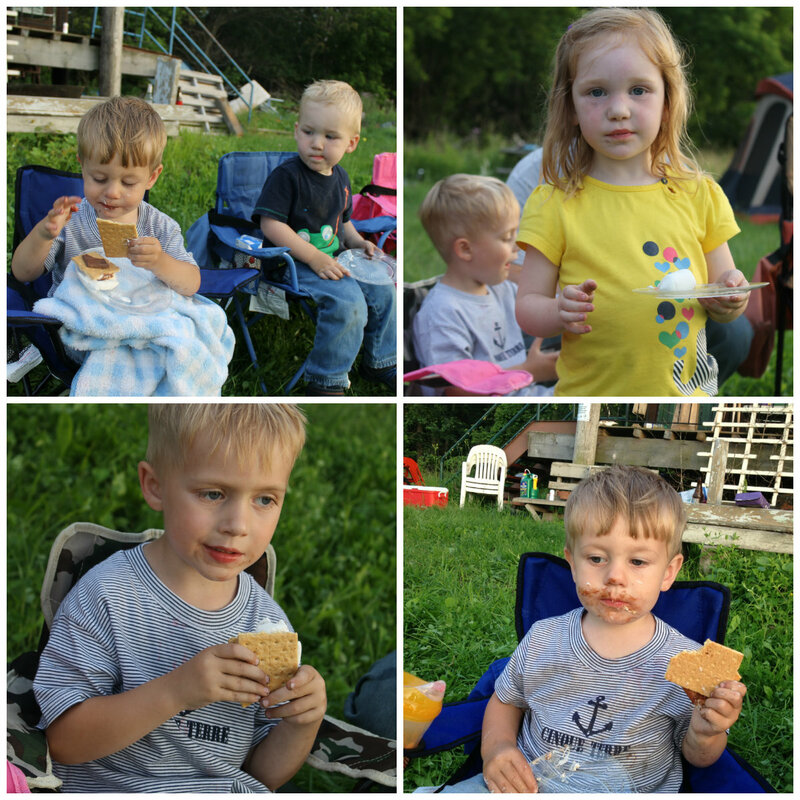 Thanks to all our past and present soldiers, who have allowed us the freedom to eat those yummy, gooey s'mores if we so choose.